Master Sgt. 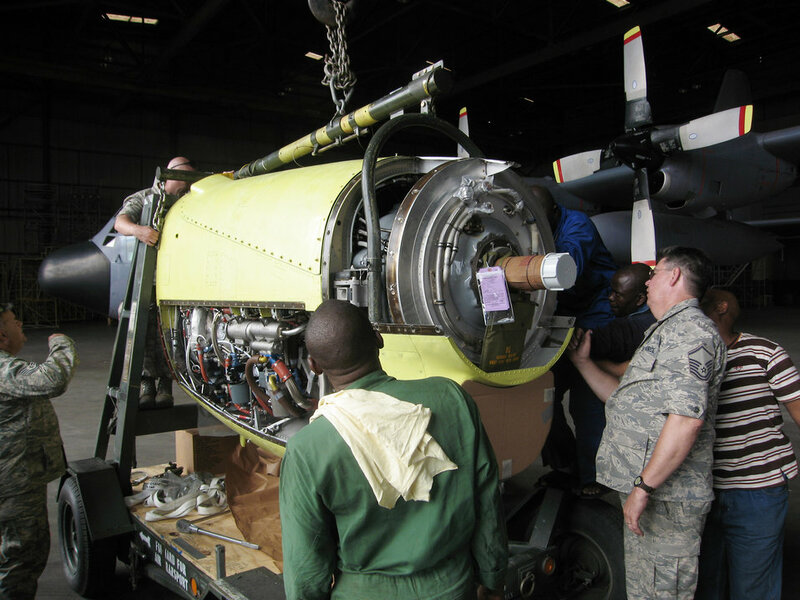 Jim Goostree examines the engine from a Nigerian C-130 as part of an effort to restore the aircraft to flying condition. Once able to fly, it will go to a repair Depot in Europe for a more extensive overhaul. The mission is part of an ongoing military-to-military engagement between 17th Air Force (U.S. Air Forces Africa) and the West African nation. Sergeant Goostree is a member of the Tennessee Air National Guard's 118th Airlift Wing.